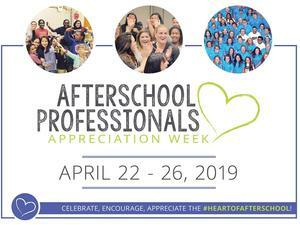 Sheldon ISD would like to honor our afterschool professional staff in celebration of this event! 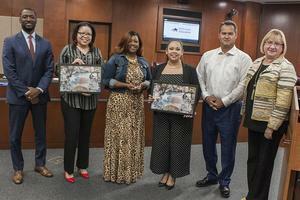 Thank you, Harris County Department of Education, for recognizing our district and board members at Tuesday's Sheldon ISD School Board meeting. Both SISD and HDCE have developed a partnership where our district is able to provide additional services to our students and staff. Sheldon ISD is the recipient of two grants that will benefit both students and teachers. Parents, you have an opportunity to provide feedback to the Texas Education Agency in the areas of college, career and military preparation. The "Listening Tour" will be April 29 at the Regional Education Service Center 4, 7200 Northwest 100 Drive, Houston, Texas 77092 from 6:30 p.m. to 7:30 p.m. Please see the flyer for registration details. Posted: 4/3/19 at 9:35 a.m.
Update - 4/3/19 9:48 a.m.
Sheldon ISD is also limiting all outside activities today until the odor dissipates. In addition, we are closing off outside air vents to prevent outside air from entering the campuses. Please note - this does not affect our air conditioning system...as they will continue to function properly. These are just additional precautionary measures the district is taking to ensure the safety of our students and staff. Earlier this morning, Sheldon ISD administrators placed Carroll Elementary, Garrett Elementary, and Null Middle School in a shelter in place for approximately 30 minutes as a precautionary measure because a gas-like odor was detected in the areas surrounding those campuses. The local fire department was dispatched, and we are happy to report that all campuses were quickly cleared of any gas detection. Sheldon ISD would like to thank the Sheldon Fire Department, Harris County Precinct 3 Constables, and SISD maintenance department personnel for their swift actions in helping resolve this situation by using gas-detecting instruments. Temprano esta mañana, los administradores de Sheldon ISD ubicaron a Carroll Elementary, Garrett Elementary y Null Middle School en orden de resguardo durante aproximadamente 30 minutos como medida de precaución debido a que se detectó un olor similar a gas en las áreas que rodean esas escuelas. El departamento de bomberos local fue enviado, y nos informar que todas las escuelas fueron eliminados rápidamente de cualquier detección de gas. Sheldon ISD desea agradecer a las agencias locales por sus acciones rápidas para ayudar a resolver esta situación mediante el uso de instrumentos de detección de gas. Sheldon ISD will have classes on Wednesday, April 3. We will continue to monitor the conditions of the KMCO chemical fire and if anything changes, will keep you updated with the necessary information. Update, 4/2/18 at 12:45 p.m.
Sheldon ISD administrators initially called a shelter in place out of an abundance of caution earlier this morning. Since then, the Harris County Sheriff’s office has declared a shelter in place within a one-mile radius of the fire in Crosby. Since Sheldon ISD does not fall within this one-mile radius, the district is lifting its shelter in place. Sheldon ISD will continue to limit outside activities for the remainder of the school day. 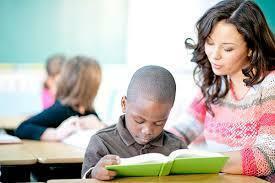 However, we are allowing parents to pick up their children from school early should they wish to do so. 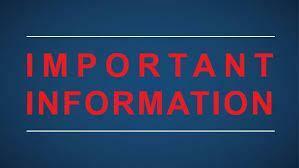 At this time, we are planning to dismiss students at normal dismissal times. We will continue to monitor the conditions of the fire and will keep you updated with any additional information at a later time.